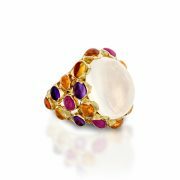 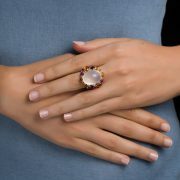 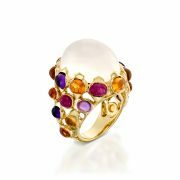 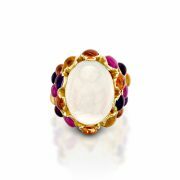 18K yellow gold ring featuring a 22.66 carat central moonstone, and amethyst, orange sapphire, pink tourmaline and citrine cabochon stones. This multi coloured ring featuring one of Morocco’s well-known motifs is a playful pick me up for any outfit, making it the perfect statement piece. 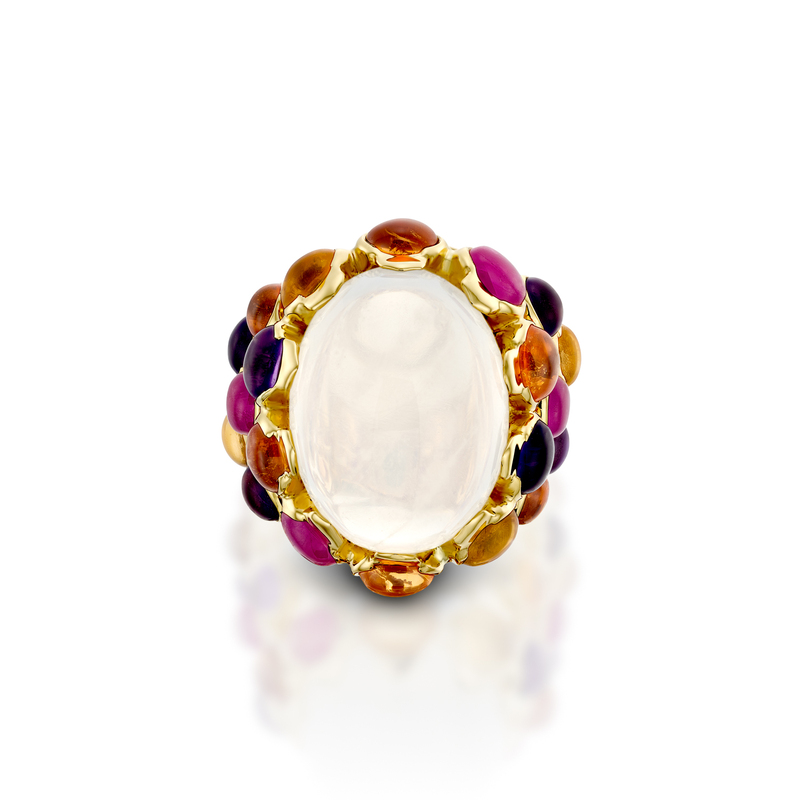 Why we love it: Bright and beautiful. It’s colourful, bright and youthful and it makes us smile every time we look at it.